beAware - A light towards lighting! 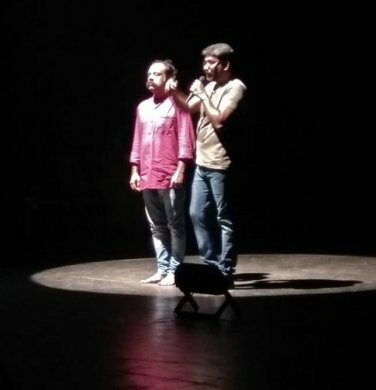 With the aim of creating awareness on lighting techniques to the stage performers, primarily dancers and theatre artists, Sreekanth, a renowned lighting designer in the country, who hails from the capital city of Kerala and also the pioneer of Cameo Light Academy, Thiruvananthapuram, conducted a one day 'lighting workshop' in collaboration with Kerala Sangeetha Nataka Academy at Thrissur Naatyagruham on 11th August 2018. The workshop was the first of its kind in the state where almost 70 people came as participants which included students to professionals from different fields of arts and even connoisseurs. Sreekanth doled out the session with the fundamentals of lighting, types of lights and its usages, controlling machines and movement of light in the first half. After a "black out" (in the form of interval) the colour theory, stage background and colours were explained through pictures. 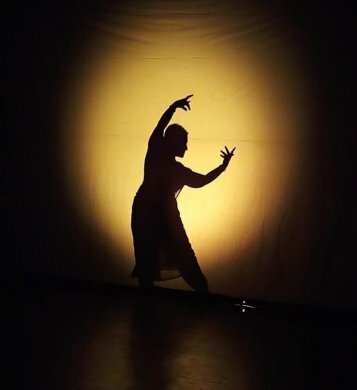 Colour of the artists' costume and coloured lights' impact on that, colour change of the body according to the lights used were demonstrated with the help of a dancer Shwetha and actor Bilas Nair. This understanding helped the participants to "be aware" when they choose their costume and lighting design next time. The lighting designer enriched the lecture with his radiant practical experience which came out in the form of "tips" for the performers. Backdrop and costume colour, stage floor and its colour, colour of the microphone stands, entry- exits in a black out, music pit and costume of the musicians, position of fold back monitors on downstage were the concerns he tabled as tipping points. Pre-planning of basic light design and the ground plan, visiting the stage before the performance, preparing a lineup chart, handing over the design to the lighting designer, having technical rehearsal, maintaining good rapport with the technicians, discussing needs and requirements earlier, taking enough safety measures and even stage manners came as subject matters before the winding up. A healthy Q&A session cleared several practical and technical doubts of the entrants. Besides the leader, team Cameo included Bilas Nair (actor), Shwetha (dancer), Shabari (coordinator) and Abhilash (crew member). Many eminent dancers, Pallavi Krishna, Dr. Rachita Ravi, Revathi Vallathol and theatre actors; Shivan, Janil and Leo were spotted as participants. Sreekanth's 23 students who have taken the three months course on Light Designing for the Arts and Creative Industry at Cameo Light Academy were also the attendants.